Before I had the chance to talk and laugh and join him in his world, I was a fan of Notorious B.I.G.. From “Juicy,” “Warning,” “Unbelievable” and “One More Chance” to “Things Done Changed,” “Dreams...,” and all the cameos and remixes, there was a lot of music to love. I actually played “Get Money” so often that the vinyl began to sound dead, and I remember rushing to the club the night I got “Hypnotize” so I could blow it up three or four times in a row. Like the blues, jazz and the best of African-American art, hip-hop is one person’s expression of self that is representative of some part of ourselves. 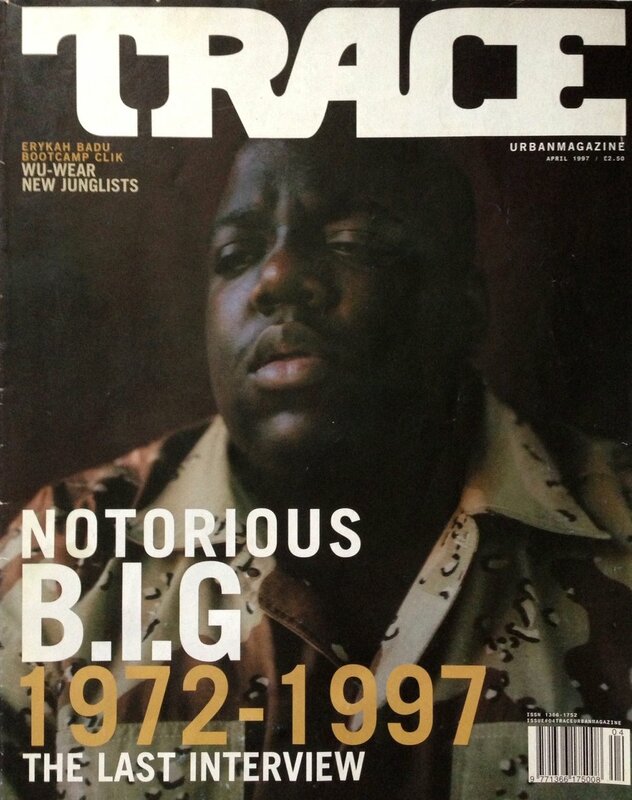 Big was Brooklyn’s finest, the brotha who dedicated his album to “all the teachers that told me I’d never amount to nothing...and the ni**as in the struggle.” And he was a real person. James Baldwin once asked in his classic discussion of the Civil Rights Movement, The Fire Next Time, “Do I really want to be integrated into a burning house?” Without ever answering, Black folks find ourselves today within that burning house, robbing and stealing and “going for mine” either on Wall Street in a Ralph Lauren three-button suit or on the streets of Brooklyn in a Korean-made Polo sweatshirt. Biggie wasn’t ashamed about being in hip-hop for the money. And why should he be? Goldman Sachs makes no apologies. Everything we learn and are taught by America tells us to go for the paper because with money there is success and happiness. Don’t try to improve your community or change the ghetto, just buy your way out. By any means necessary. And Big did that through hip-hop. If I asked my former students, twelve and thirteen year-olds living in inner-city Baltimore, how many of them had seen or known someone who had been killed, every hand would go up. And so the drive-by murder of Biggie Smalls becomes not an anomaly, but a part of the macabre reality we call Black life. Hip-hop is the primary way we are all socialized. In the absence of a strong family unit, the church, or any reliable systems of education, young people learn how to talk to each other, treat each other, and feel about themselves and their world using the rhymes they listen to every day. Big wanted to be alive, to laugh and cry and act out the lessons he had learned from his past. He also wanted to love. Love his children, his fam, and his moms. Mrs. Wallace was all over Ready to Die. She was an object of stress and bitterness, but also a symbol of strength and survival. Big spoke of her in his rhymes more than any other rapper I know--except of course, Tupac. Many will point out that Biggie and Tupac’s deaths are more examples of life imitating art. But aren’t we all on stage? Murder is often the leading cause of death for young Black men, and most of us do very little about it. Can that be a reality? It seems that we have become increasingly unable to differentiate between fantasy and what is real. And for that reason, our art is our life. Hip-hop is our dominant culture, and it’s the way we learn how to live. Kids act like the stars they see in their favorite videos, and find a rhyme for the situations that confront them every day. That power of the art form surprises even many of those who wield it. It’s what makes hip hop so compelling, but aren’t we allowing ourselves to be entertained by our own tragedy? Tupac, in his martyrdom, became a cultural hero. Biggie will be the same. Tupac asked brothas to die for him...Big found new life. But ultimately, the music couldn’t save either of them.